16th Oct Public Protest - against Birmingham spycam scheme, details to follow. Councillors spycam reservations revealed - Councillors misled and given false assurances in police briefing. "Full consultation" was promised, then quickly forgotten. West Midlands Police Authority Meeting - a West Midlands Police Authorty Meeting will take place Thursday, 24 June 2010 10.00 in the The Committee Suite, Lloyd House, Colmore Circus Queensway, Birmingham. Cameras to be bagged - Channel Four News reports that, "An anti-crime partnership has agreed to delay the switch-on of more than 200 security cameras after complaints that they will infringe residents' civil liberties." Project Halted Pending Full Consultation - a press statement was issued on behalf of Safer Birmingham Partnership, Birmingham City Council and West Midlands Police, following a meeting to review the future of Project Champion. Angry Scenes As People Unite Against Spy Cam Scheme - at the 8th June council meeting every single councillor and the entire audience united in calling for the surveillance camera scheme to be scrapped. Birmingham Spy Cameras - NO THANKS! Facebook group: Birmingham Spy Cameras - NO THANKS! A group was set up by Steve Jolly in Moseley, Birmingham to fight a 'ring of steel' encircling parts of the city with Automatic Number Plate Recognition (ANPR) cameras. The scheme is called ‘Project Champion’ and is funded by a £3m grant from the Home Office. Further investigation has revealed that the funding for this scheme was allocated allocated by ACPO (TAM) [Association of Chief Police Officers Terrorism and Allied Matters]. This has implications for every person in Britain with regard to the intrusive role of the state and the mass monitoring of innocent people. In order to monitor a few potential 'bad guys; we are all under the watchful eye of the surveillance state. It's taking liberties in every sense. This is a line in the sand and it has been crossed. Unless we object to this and protest in the strongest terms this spy scheme will simply be imposed on us whether we like it or not. Now it's time to stand up and be counted. Twenty-six weeks after Chris Sims, West Midlands Police Chief Constable promised at a meeting of the West Midlands Police Authority that the cameras would be removed, now at last they are coming down. This is great news for the people of Birmingham but the CCTV and Automatic Number Plate Recognition (ANPR) network around the country continues to grow. People around the country must build upon this succes. 2nd December 2010 - The cameras are coming down! At its meeting on 2nd December 2010, the West Midland Police Authority agreed "that the scheme known as Project Champion should be withdrawn and all remaining cameras, poles and relevant equipment should be removed". Congratulations Steve Jolly and all of the other campigners in Birmingham! See Minutes of 2nd West Midland Police Authority meeting. Birmingham City Council has published a report entitled 'Project Champion:Scrutiny Review into ANPR and CCTV Cameras'. The so-called "independent review" of Project Champion conducted by the chief constable of Thames Valley Police has now been published. The report is really a review of West Midlands Police rather than Project Champion. None of the fundamental issues of the rights and wrongs of surveillance of this kind were addressed and no mention was made of whether the cameras should be removed. Attendees were baffled and bemused by the police authority meeting on 4th August 2010. It's hard to see what the police authority were hoping to achieve, other than ticking the box to say they had "listened" to the views of local people. They will no doubt use it as proof of their commitment to "engagement" with local communities about policing in the west midlands. Having ticked that box they will presumably carry on with whatever undemocratic and unaccountable processes they intend to pursue, since they don't appear to have even thought about the views and concerns of local people in the past and still show no signs of doing so even now. The stated purpose of the West Midlands Police Authority's public meeting was to hear people's views on 'Trust and Confidence in Policing' and how this might be improved. It was prompted by the public outcry over the attempted implementation of an unlawful mass surveillance scheme that targets two predominantly Muslim neighbourhoods of the city. West Midlands Police have announced that a so-called "independent review" of Project Champion will be conducted by the chief constable of Thames Valley Police, who just happens to be Vice Chair of the Association of Chief Police Officers Terrorism and Allied Matters Committee (ACPO - TAM), the body that funded Project Champion. To view a short ITV Central News report of the rally click here. Public event intended to rally support for communities in Birmingham, stand up for our privacy and civil liberties and oppose the mass surveillance of ordinary citizens by our government. Organised by Birmingham Against Spy Cameras. Chaired/hosted by journalist and broadcaster Adrian Goldberg (talkSport, BBC Radio WM, The Birmingham Mail and editor of The Stirrer website, http://www.thestirrer.co.uk which is covering the story daily). Councillors misled and given false assurances in police briefing. "Full consultation" was promised, then quickly forgotten. A meeting takes place this week of the West Midlands Police Authorty Thursday, 24 June 2010 10.00 in the The Committee Suite, Lloyd House, Colmore Circus Queensway, Birmingham. This is a public meeting so all can attend. 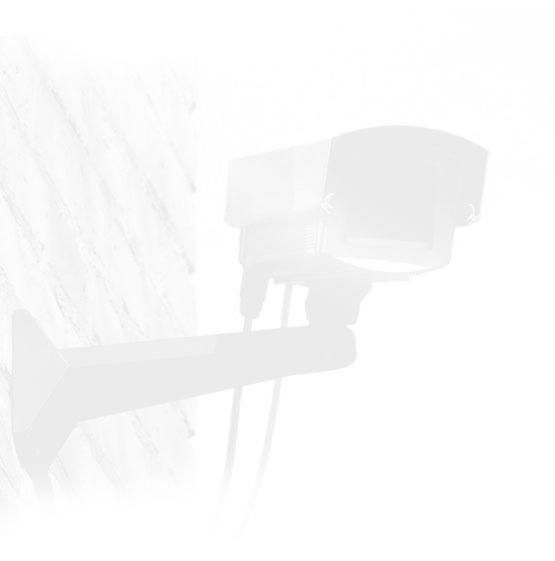 Channel Four News reports that, "An anti-crime partnership has agreed to delay the switch-on of more than 200 security cameras after complaints that they will infringe residents' civil liberties." What?! -"DELAY the switch-on? That's what they think. This fight will not stop until they are all REMOVED! Steve Jolly phoned the Safer Birmingham Partnership to ask when the offending cameras will be covered over with bags, as promised in their recent press release. A spokesperson said they are awaiting delivery of "special bags" and that the 'bagging' should commence "in a couple of weeks." A press statement was issued this afternoon (Wed 16th June) on behalf of Safer Birmingham Partnership, Birmingham City Council and West Midlands Police, following today’s meeting to review the future of Project Champion. Every single councillor at last night’s constituency council meeting (Tuesday 8th June) and the entire audience united in calling for the surveillance camera scheme to be scrapped. We all united in condemnation of the unwanted spy cameras put up in our neighbourhoods to track our every move. The whole room was unanimous in their outrage and over this gross assault on our civil liberties; it was democracy in action. People from the communities affected came and spoke out in the strongest possible terms. We totally trounced the Safer Birmingham Partnership and the police. They were broken and beaten and they must be going away for a major re-think of this ill-conceived plan that has clearly backfired. This issue isn’t going to go away, but maybe the cameras will. We can win this. Our lawyer from Liberty stood up and said they would be mounting a legal challenge. The whole thing’s illegal. And NOBODY wants it. We’re gonna get these things removed.